As millions of Baby Boomers reach the age of retirement, their growing health care needs will mean additional jobs for nurses and home care providers. Hospitals are hiring new workers already in preparation for what is to come, increasing the need for skilled workers in the health care sector. According to a 2012 health occupational report by Monster.com, online job postings for positions like registered nurses and physical therapists rose 13 percent from June 2011 through June 2012. With an average salary of $64,690 a year, according to data pulled from the Bureau of Labor Statistics, registered nursing may be the more desired position, but lower-paid home health aides are actually in higher demand. An industry shift that with more emphasis on outpatient care and home health services makes home health and personal care aides two of the fastest-growing professions in America. The Bureau of Labor Statistics estimates an employment growth of 70 percent by the year 2020. With the additional assistance of home care systems such as ClearCare, in-home care is now more preferred than ever. Quality home care systems like ClearCare are improving home care agencies across the entire country. Home care software makes providing care for the elderly and disabled much easier for caregivers, prompting more individuals to become trained and certified in this field. According to a report released by the National Private Duty Association, one national care provider chain alone, has received 32,000 applications this year already – a 23 percent jump in the number of individuals interested in work as caregivers - from 2011. 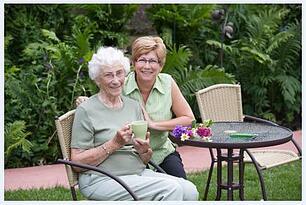 Using home care software allows caregivers to better track patient care and daily tasks. Rather than using ineffective paper care journals, which are easily lost, ClearCare’s home care software is web-based and accessible via internet or any mobile device. Caregivers can monitor their client’s health, medications, appointments and other important information safely and securely with ClearCare’s dependable home care software. Relying on sophisticated home care systems saves agencies time and money by improving business processes and care management procedures.